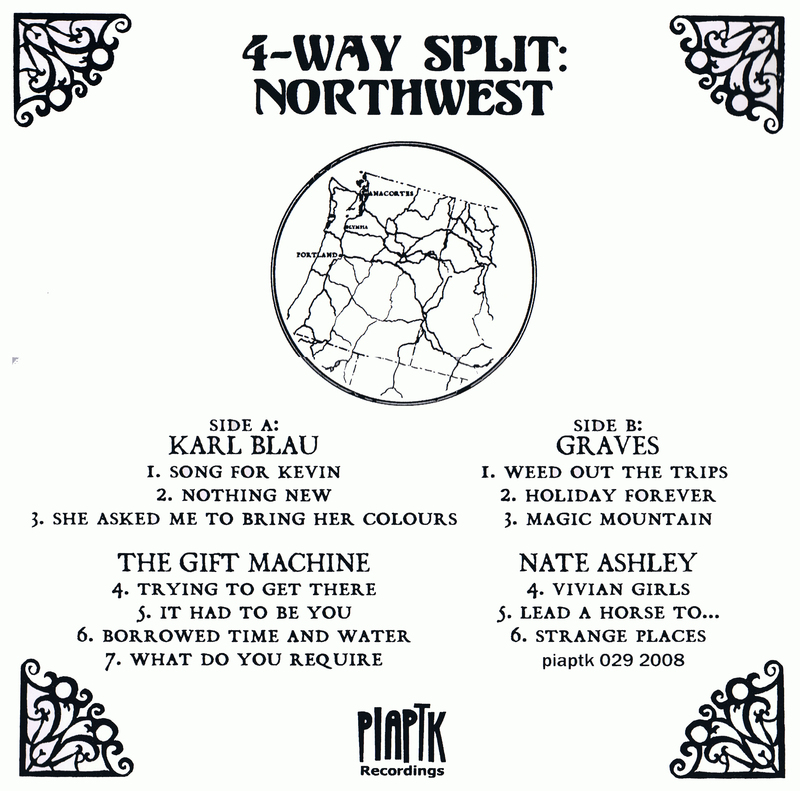 4 geographically centralized artists and good friends on one LP. 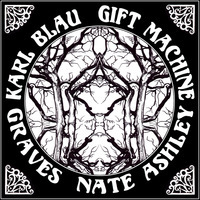 The inaugural issue is this split between The Pacific Northwest's own Karl Blau, Gift Machine, Graves, and Nate Ashley. 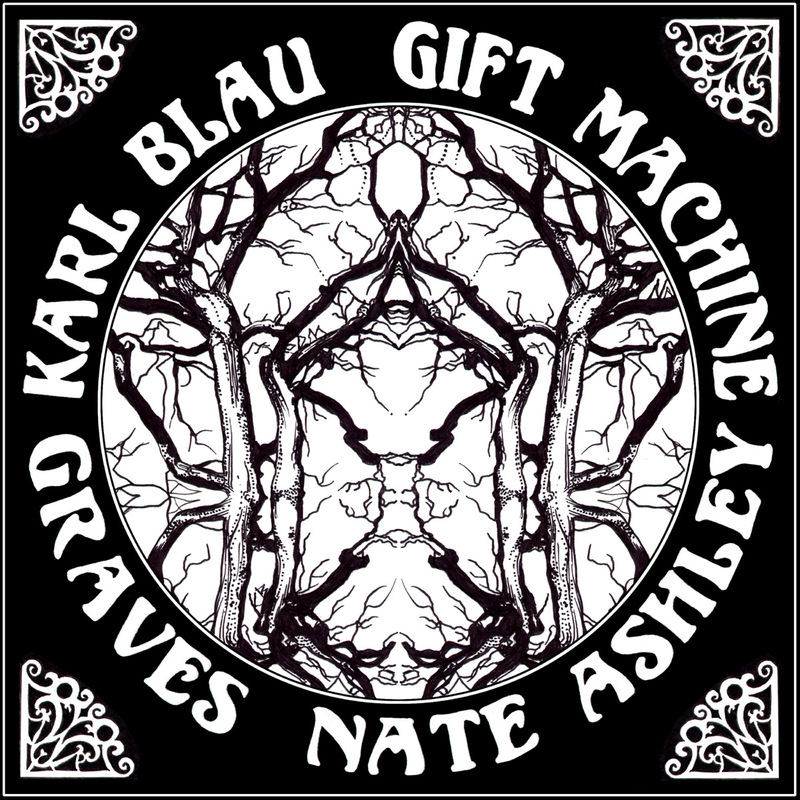 Comes in a hand-screened jacket (from an amazing pen and ink drawing by Nate Ashley) and on colored vinyl. Gift Machines - What Do You Require? 50 copies on swampy green marble, 75 copies on purple, and 375 copies on grey marble.